This spotlight is a little different in the "Too Cool for School" section, it has been divided by instructional focus. Let me know if you love it, hate it, or have better ideas! Jamie Biel- Ben Reid wrote, "She is an amazing teacher who impacts the lives of her students daily. I was in her classroom for testing the other day, and in the 15 minutes she was in there with me, no less than 10 kids (former and current students) were expounding on what a great teacher she was and how much they love her class." Madeleine Connolly- Joe Burns wrote, "Madeleine Connolly challenged herself and her 9th grade regular English I students with a Socratic seminar over "To Kill a Mockingbird". She did a great job setting the stage for some meaningful conversations. " Brent Duvall- Jeff Bixby wrote, "Even as we approach the end of the year, he continues to challenge his World Area Studies students preparing them for content and skills they would need to be successful in AP World History." Sara Freeman- Krista Knight wrote, "She has been writing all of the Geometry curriculum for the Geometry team. She is amazing!" 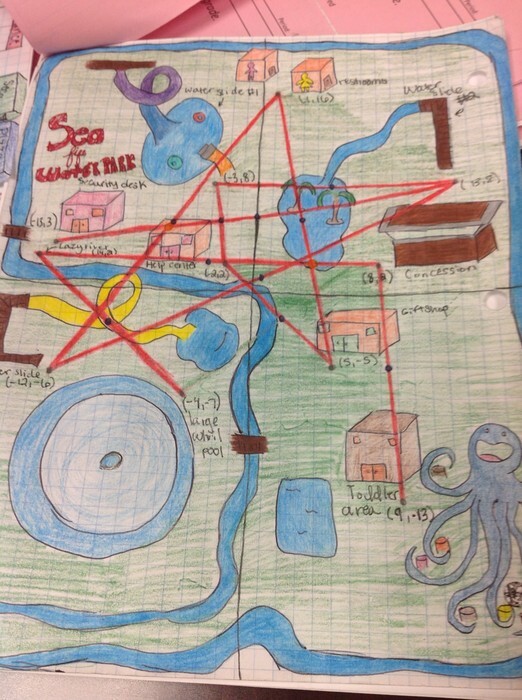 Allison Garrett- Joe Burns wrote, "Allison Garrett did a great job placing students in teams to define the area and volume of complex three dimensional shapes. 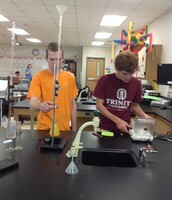 Students were successfully engaged in the task. Great collaboration going on in order to solve complex problems!" Joe Holloway-Katy Eyberg wrote, "I've worked closely with Joe on the English 2 for the last three years, and he has been instrumental in the success and evolution of the curriculum. Not only is Joe a pleasure to be around - he's funny, kind, and calm - but he also adapts well to change and quickly solves problems. He has also completely revamped the journalism program from the ground up, creating a program students love. I'll miss working alongside him and wish him continued success in Houston." Brad Laymen- Yvonne Kaatz wrote, "I want to thank Brad Layman for an exceptional experience and great season. Although we had an overall winning season by far...that is not what this is about. It was an exceptional season for Ty, and I attribute this to Brad Layman. Brad was EXCEPTIONAL at getting on Ty when he needed it and turning right around in the same breath and encouraging him. I can give you one example in particular where Ty missed a fly ball in right field and Ty's worst problem is getting down after a mistake. Layman a couple of plays later yelled from the dugout, "Body language Ty body language!" Ty needed to hear that. He needed to be yelled at and told that his poor attitude was reflected in his body language. He also jumped on Ty about other things that Ty needed to hear. In fact, there was one time that he jumped on him about missing a sign, but the thing was that each and every time, Ty took it to heart in a positive way because Layman always followed it up with, "Come on 8." "Do your job 8." "Let's go Ty." "Great job Ty." I could go on and on. Bottom line... due to Layman, Ty felt like he contributed to the team and was valued by this coach." Brian Ormonde- Joe Burns wrote, "Four of Brian Ormonde's advanced Automotive students did an amazing job with their portfolios this past week. Brian did a great job presenting them with a real world problem that required team work and critical thinking. These students were truly inspired and did an exceptional, professional job presenting their project. Super proud of them all !!!" Brian Thiebaud and Tony Marsh- Jerri Ybarra wrote, "I want to recognize the efforts of both Brian Thiebaud and Tony Marsh for their willingness to get our students out into the world through travel. Tony Marsh's trip to the Inauguration next January is getting kids interested in government and citizenship. Brian's trip to Australia, New Zealand and Hawaii is an opportunity to see the world from the "Southern Hemisphere" mostly. It's great to see a variety of teachers from the Social Studies department broadening our student's perspective through travel. " If anything stands out to you here, feel free to speak to that person to get more information about that idea! Students in Jordan Batson's class were given two assignments: a math-based assignment and a lab-based assignment. Students were given two days to complete both tasks in whatever order they would like. As you saw in staff e-mail, Jamie Biel is always looking for ways to encourage and pat her colleagues on the back. Her APES students made recycled paper to write notes of thanks to teachers who have had an impact on them during thier time at DSHS. I recently had the pleasure of watching Tracy Cooper's seniors present thier alternative portfolio, where they constructed a hologram from scratch. Tracy got here students connected with a professor from Texas State to help with the theory and supplies they would need, and then it was up to them to build it. The way they spoke about thier experience showed great growth and expertise in the area, and they were truly proud of their work (that was far beyond high school level). 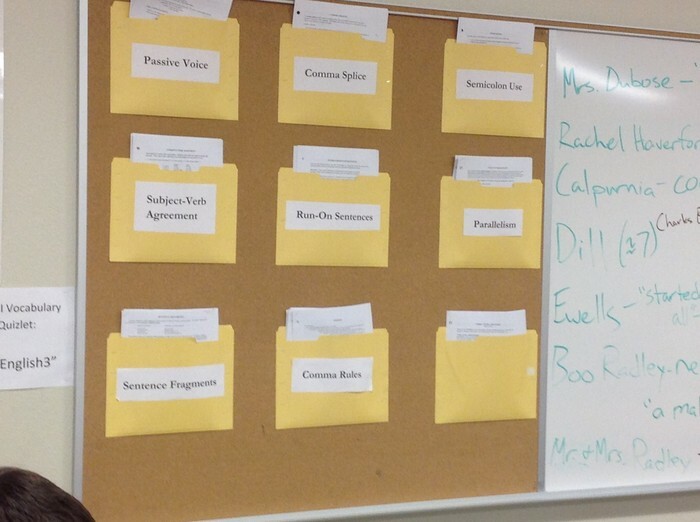 Sara Freeman has introduced a project that will take place of a summative grade to her Pre-Cal students. They are given a list of several options and are able to choose which options best suit thier interests and strengths including writing and artistic ability. Each option embeds the application of mathematical concepts. In Joe Kirksey's classroom, he has a board dedicated to writing tips with practice examples students can work from and then edit thier own paper (i.e. semi-colon usage, comma usage, etc.). They can resubmit their paper for points back depending on their specific errors. I sat in on a conversation in Kelsey Lee's class, where students were able to choose what they wanted to learn over the last few weeks and how they would like to be assessed. They were able to take ownership of thier learning and through this conversation felt like they really did have a say in their own learning. Jerri Ybarra's year-long PBL is coming to a close this year, her students have built thier own continents, and as the concepts came up, students added to their continent: topography, nation states, culture, government, etc. They are now working on finalizing the product, and in each group student's' strengths are utilized i.e. technology, writing, art, etc. Eventually a culmination atlas will be created for the class. Next year, with Jerri's grant, students will have access to a class set of laptops and a program to expand this learning experience. For thier final exam, students in Tracy Cooper's Physics I class are creating youtube videos to teach concepts or labs to use as a reference in her flipped classroom environment. The purpose being so that students are learning from students and for those students to show mastery in that concept. Lindsey Abel had her students complete a project where they had to apply line functions to a whatever graphic they decided to draw. They also were able to utilize the Desmos app to write up their line functions and print them to save them time in writing them out. As a result of a mistake I made, I was able to witness the beauty of John Adam's fully functional, self-directed learning environment. Students are able to not only manage themselves, but they are motivated and engaged in the process of PBL learning in his class. They do not need to be told what to do or how to do it because the guidelines were set from day 1 and students know exactly what is expected of them in terms of the content they are working/building on. 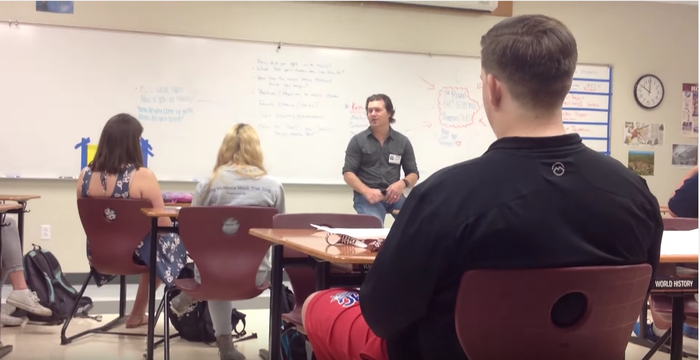 Ryan Durkin brought in a speaker for his Sociology class to make connections to the book they are reading and to bring a real-world perspective on the changes in the Austin music business as a result of the growth of the city. Students are embarking on another PBL in Kelsey Lee's Geometry classroom called the "Privilege Project", with the essential question: How is privilege used either to oppress or to advance the underprivileged? This is her project description, " Students will use probability and critical thinking skills, students will understand the concept of dominant culture privilege, the systems and structures that are designed to perpetuate those privileges, and who is being oppressed as a result. They will personally connect to this topic by identifying their own privileges, their lack of privileges, how they have been oppressed and/or how the structure of culture and circumstances has oppressed others. They will run their own study to mathematically determine how probability is affected by privilege among their sample population. Through analysis and suggested implications, students will reflect on how privilege could be used to help benefit the disadvantaged groups. " I was able to see the process of Lauren Myrick's on-level Algebra I project, where students had to build a waterpark and show, using linear functions, how spacing would work in thier water park and what they may look like to scale. She noted that students who wouldn't normally be interested, were fully engaged and learning and they told her that this was thier favorite assignment of the whole year. She is also having this same group of students conduct a "million dollar project" where they have a million dollars and must balance thier own checkbook in planning for their spending. One requirement is to plan for college, housing, and car. The intent is to get them thinking about finances and thier future. I was amazed in Adrienne Jones' Algebra class at how unafraid her students were to participate and share their work. She had them writing thier work on a personal whiteboard and then sharing with the rest of the class. She celebrated failures and asked them how they got there and guided them to correcting thier work. The room was full of math talk and every student participated because they were not afraid to get things wrong. Students participating in the cross-curricular PBL- Jeff Bixby, Tracy Cooper, Cary Jackson, Jad Jadeja - presented thier findings from the concussion study to the School Board last meeting to help inform them of the decisions for the concussion policy going into next year. Shattered Dreams was a huge undertaking for the counselors Retta Green, Josiah Peslak, Jennifer Foreman, Casey Gore, and Brooke Johnson who not only worked tirelessly to make this a success, they also spent the night at the school with the student participants to provide them the best experience possible. Sara-Jane Shepperd, Travis Crain, and Madeline Connolly are having thier students create Tiger Day lessons for use next year. They are currently having teachers come in and explain what a good lesson looks like and getting feedback from teachers to put in a handout for student reference. This is a culminating project that ties the year-long theme of culture to the students. Katy Eyberg, Joe Holloway, Carrie Remington, Sara-Jane Shepperd, are having thier students consider media consumption through research and sending out surveys to collect data. They will then come up with an infographic to post in school and a proposal to explain thier findings or how media affects students and how it can be better used in school. Evelyn Balderrama, Joe Kirksey, Molly Whiting, Madeleine Connolly -the English III PBL is based off of happiness. They will be answering various questions about experiencing happiness and the pursuit of happiness. The students will present their happiness projects and overall message to high school seniors, an audience ready to embark on the next chapter of their personal journey. Emily Groce, Evelyn Balderrama, and Charlie Thames- English IV is answering the question: Is self-discovery essential to the human journey. their presentations are completely open, so not sure what we will be getting. we threw in one hiccup, that they had to get Brave New World in there somewhere. They start presenting Tuesday. 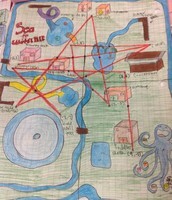 Lauren Myrick's water park project. Speaker in Ryan Durkin's room. This staff is truly talented in reaching students and finding ways to engage students every day. Thank you for your persistence in seeking innovation in the classroom, your students are lucky to have such an accomplished staff! Lastly, I am going to be asking to film or take pictures of classrooms to build a PD library for the campus, if you have anything going on in your classroom that you wouldn't mind sharing, shoot me an e-mail! Also, feel free to send me shout-outs for your fellow colleagues!